Yes, it's that time of year again, when ghosts and goblins come to your door and we watch spooky cartoons and movies. This year's installment is the Disney classic, "The Legend of Sleepy Hallow", as told by Bing Crosby. This is one of the high points of Disney animation for me, but I'm also a nut for Halloween, so I guess it's a perfect fit. 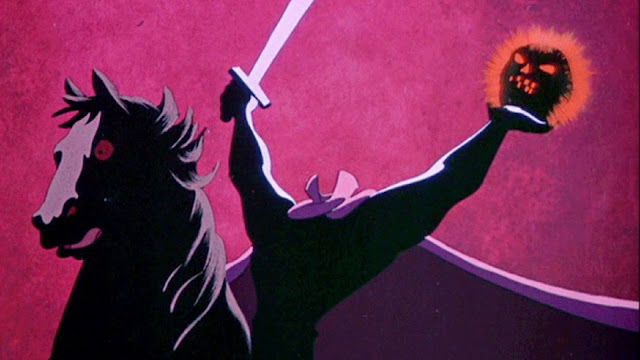 One of these days, I'll get down to Mickey's Not-So-Scary Halloween Party and get to see the live action Headless Horseman.